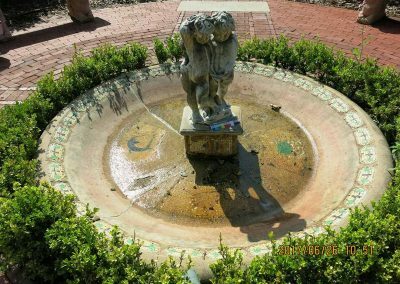 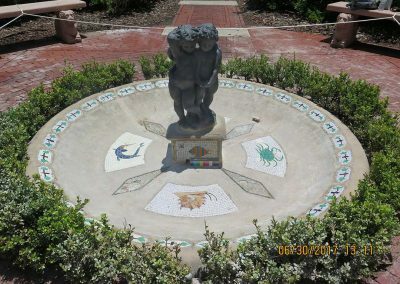 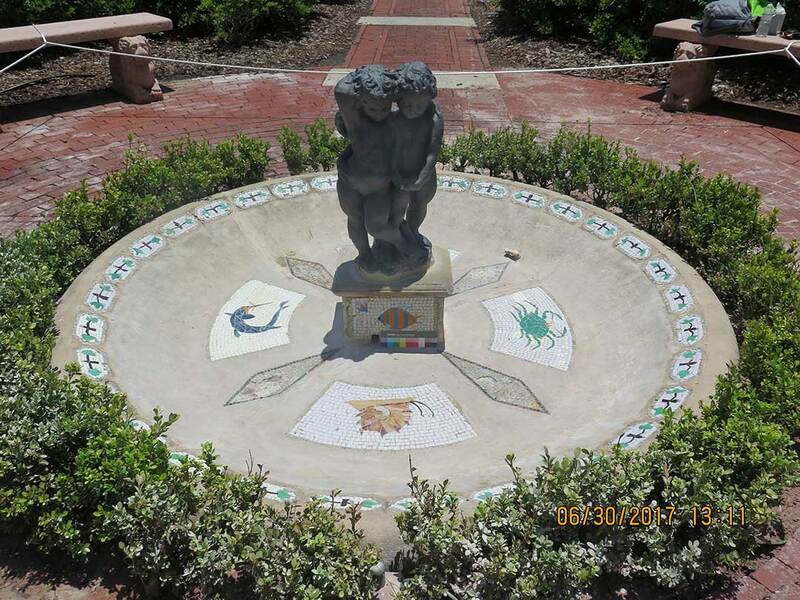 Located in the center of the English Garden at Jacksonville’s riverfront Cummer Museum, the Cherub Fountain consists of a concrete basin lined with mosaic panels and edged in tiles around the outer edge. 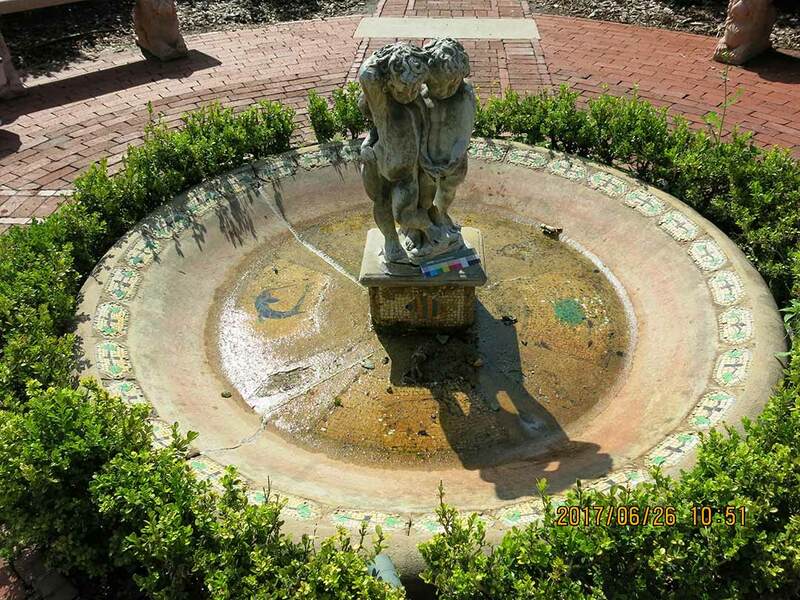 A two-figure cast lead sculptural group graces the center of the pool. 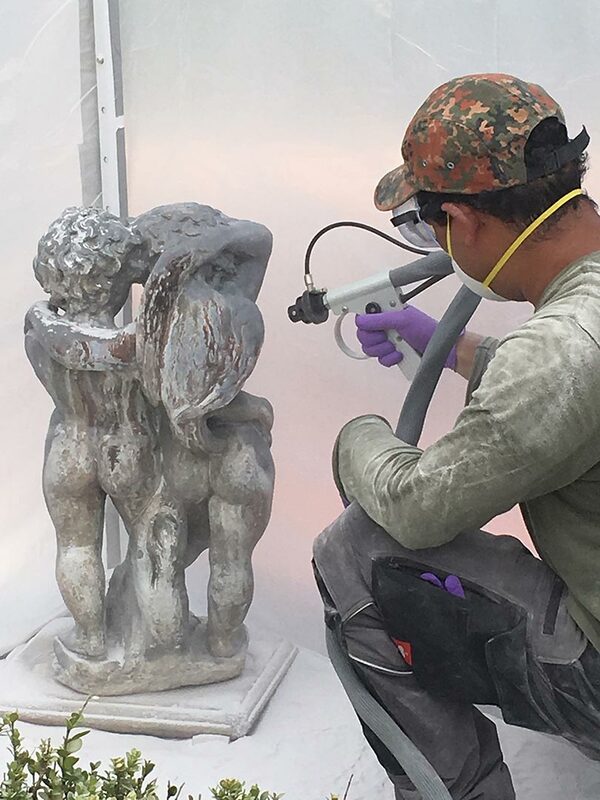 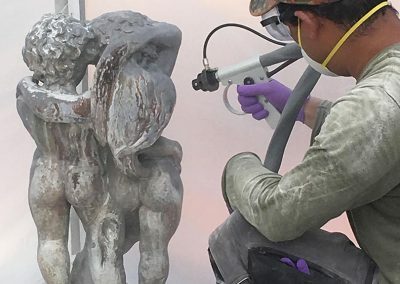 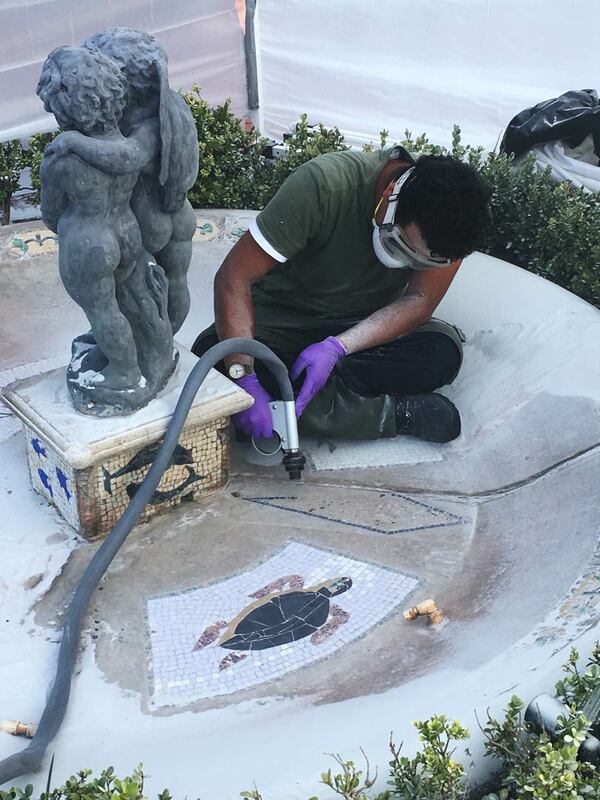 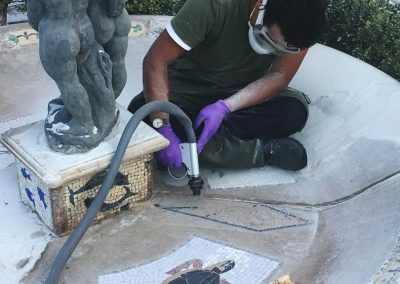 RLA was hired to remove extensive mineral deposits from the fountain and redress clogged spouts in the cherub sculpture. 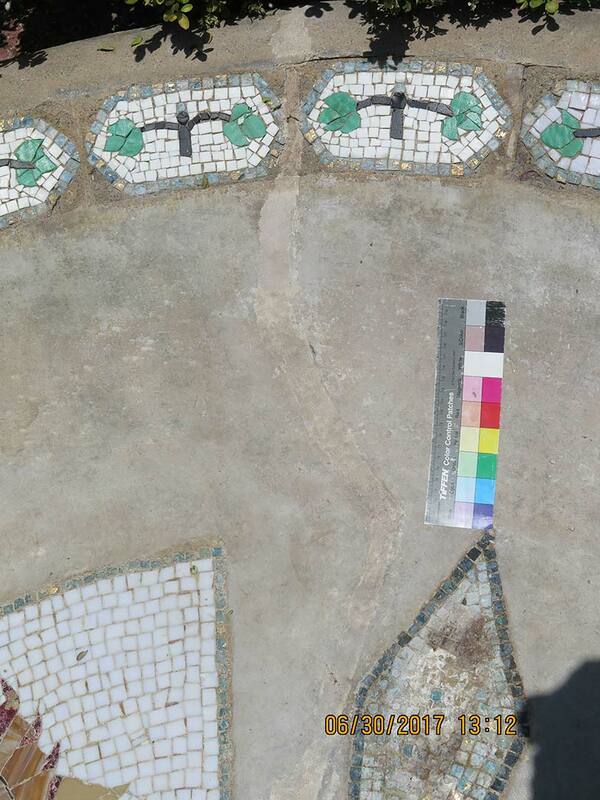 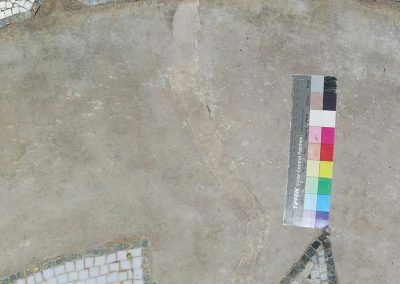 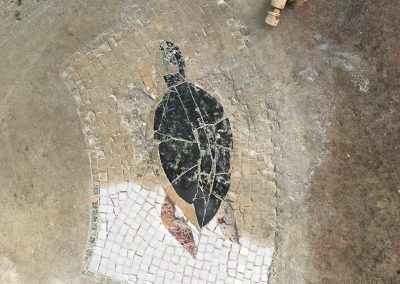 Thick mineral deposits obscured much of the mosaic and sculptural details. 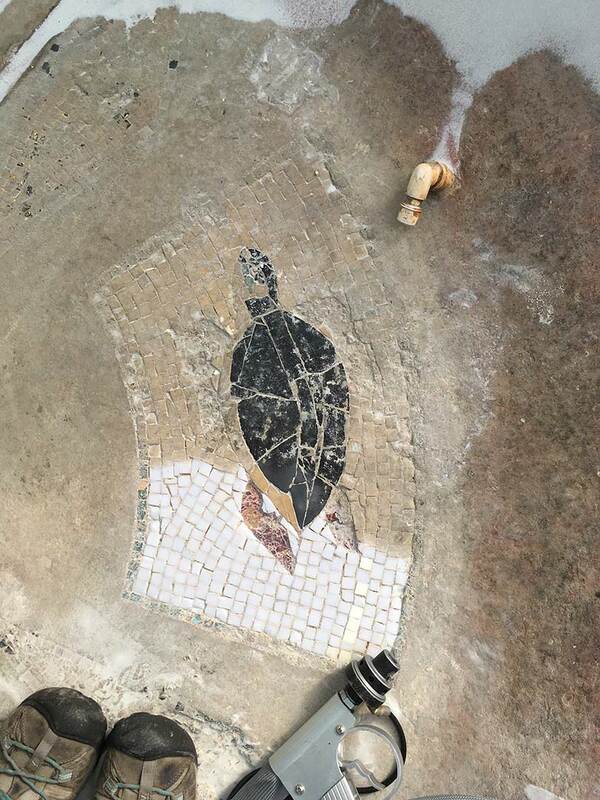 Some of the tiles were broken or missing, leaving areas of uneven exposed concrete below. 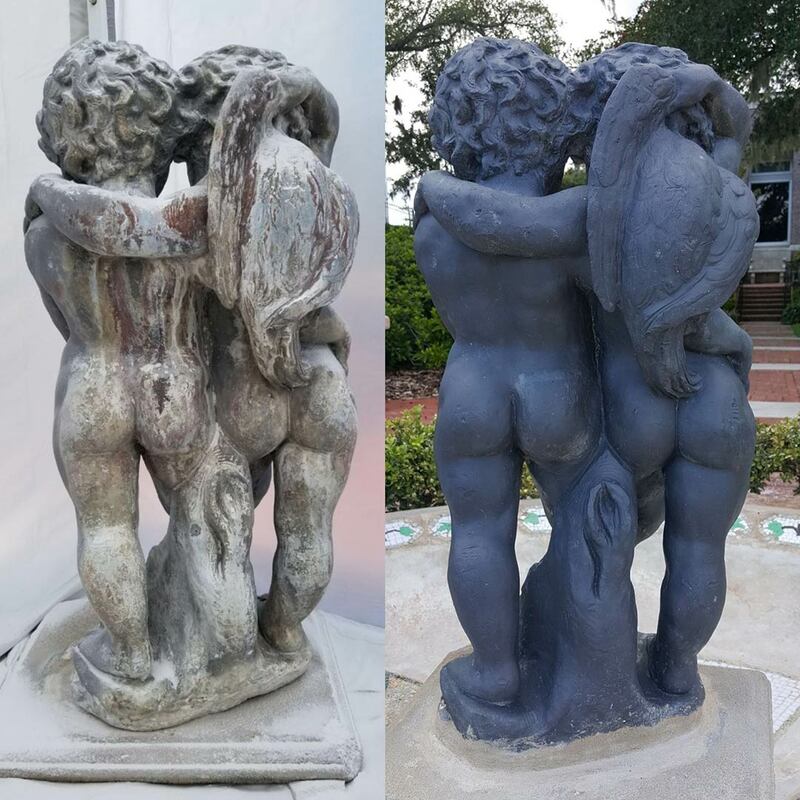 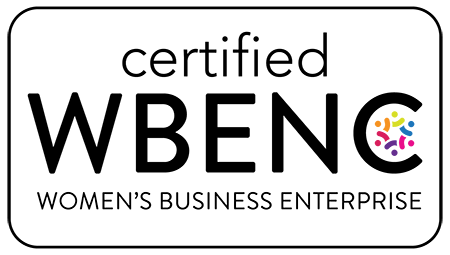 The patina on the figures was uneven and streaked with both black and white accumulations. 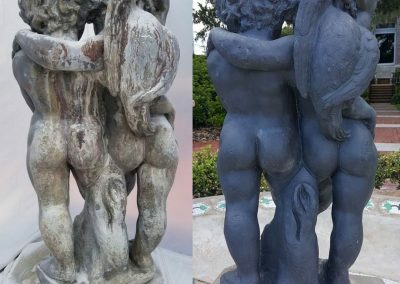 There were holes and cracks in the lead sculpture’s heads and the seam between the figures. 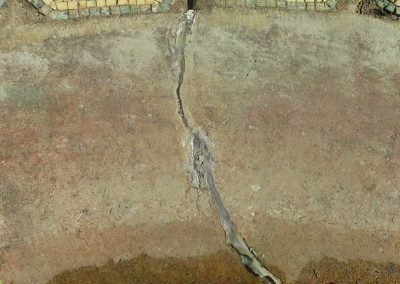 There were also numerous large cracks in the concrete basin, preventing water retention. 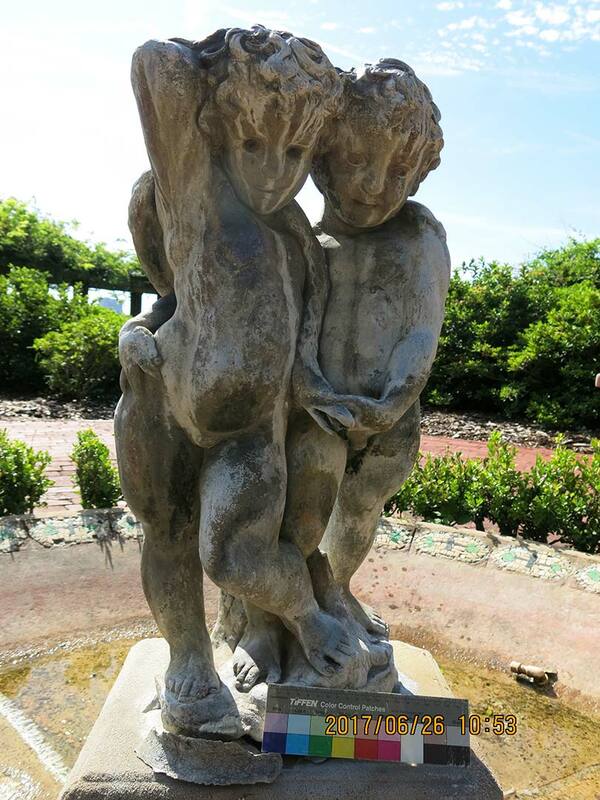 sculptures. 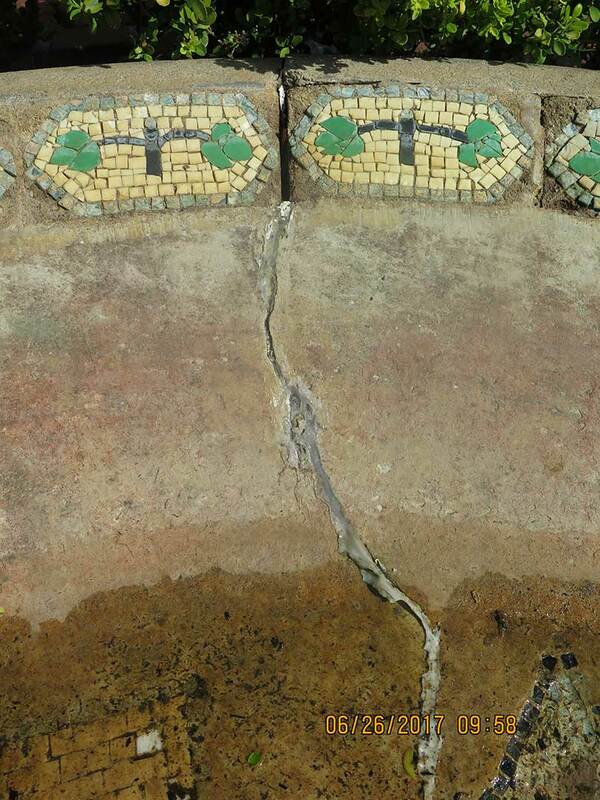 RLA collaborated with a waterproofing company to repair and seal all cracks in the concrete.